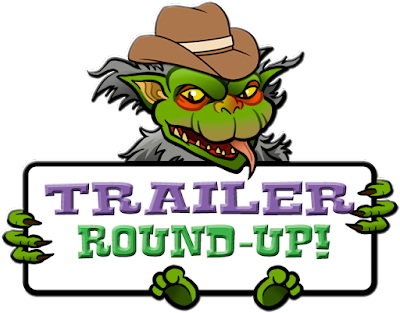 THE B-MOVIE NEWS VAULT: Trailer Round-Up: ATOMIC BLONDE, BABY DRIVER, JUSTICE LEAGUE, and KING COHEN! Trailer Round-Up: ATOMIC BLONDE, BABY DRIVER, JUSTICE LEAGUE, and KING COHEN! Hey Vault Dwellers! Sorry for the lack of content, but last week was just so damned busy! Between work, a little car maintenance, and a fun night out at The Alamo Drafthouse in Yonkers (for a Hudson Horror Show triple feature), I just didn't have enough free time to type up any new posts! 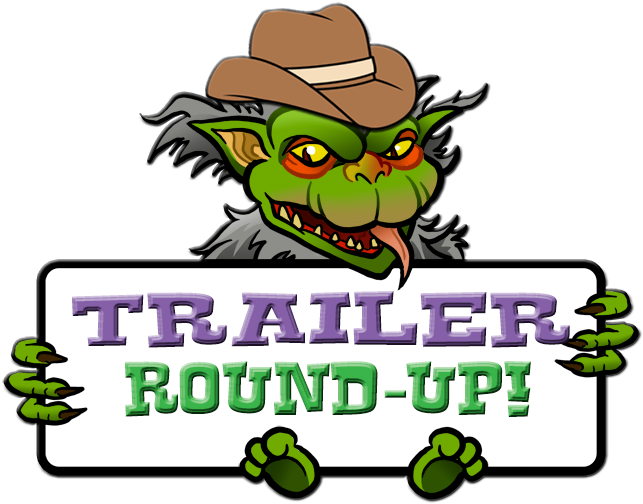 Now that things have settled down, it's time to scope out some new trailers for some upcoming films! Scroll down and peep out the previews for some really cool upcoming movies! Watch DC superheroes unite! Witness Edgar Wright's return to the director's seat! See Larry Cohen get some major love in a new documentary! Gape as furry monsters are presented with human sacrifices! Behold Charlize Theron as she prepares to become the "female John Wick!" Charlize Theron stars as Agent Lorraine Broughton, a spy sent alone into Berlin to retrieve a priceless dossier from within the destabilized city. She partners with embedded station chief David Percival (James McAvoy) to navigate her way through a deadly game of spies. Based on a graphic novel, and directed by David Leitch (who worked on the first JOHN WICK and is currently prepping to shoot DEADPOOL 2), this is one action film you will not want to miss out on! Edgar Wright (SHAUN OF THE DEAD, HOT FUZZ, WORLD'S END) writes and directs this new fast-paced action flick with cool car chases! After being coerced into working for a crime boss, a young getaway driver finds himself taking part in a heist doomed to fail. This movie has an all-star cast (Jamie Foxx, Kevin Spacey, John Bernthal, et al. ), a helluva soundtrack (this movie had me at "Radar Love"), and looks like it will be a lot of fun! Welcome back Edgar Wright! Oh how I've missed you! Though it's been a really bumpy road, DC/Warner Bros. are finally going to bring DC's greatest heroes to the big screen in their first team outing! An evil force threatens the Earth, and only the combined might of Batman, The Flash, Aquaman, Cyborg, and Wonder Woman can stop it! This looks a little more lighthearted that the dour MAN OF STEEL and BATMAN V SUPERMAN: DAWN OF JUSTICE, and seems like a step in the right direction for the struggling DC cinematic universe. I'm cautiously optimistic for this film, and hope that it delivers the goods! Writer/director Steve Mitchell takes a look at the life and career of Larry Cohen, the man behind such classic exploitation fare as IT'S ALIVE, THE STUFF, Q: THE WINGED SERPENT, GOD TOLD ME TO, et al.)! This list of people interviewed for this documentary is dizzying (Martin Scorsese, J.J. Abrams, John Landis, Joe Dante, Mick Garris, and dozens of others), and as a fan of Cohen's work, I for one cannot wait to check this out! 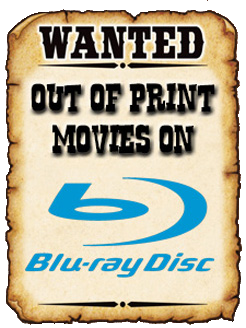 Well, that's all I've got for you today Vault Dwellers, but be sure to check back soon for more news, posters, trailers, and more, right here at The B-Movie News Vault!